Just over 7 years ago this week, I started my blog. Man, if I had known then, what I know now, it would have saved me a ton of wasted time and frustration. Are you new to blogging and trying to determine the best place to focus your precious time? Have you been blogging a while, but really want to get the biggest bang for your buck? Do you love to blog, have a nice following, and want to learn how to easily make a bit of money on the side? 2. Get paid to write what you love. The more you write, the more people read and the more you will get noticed. Most brands want to find bloggers who can write things they are passionate about and then show how their product fits. One of my rules is that I will not take a paid post unless it is something I would write about if I didn’t get paid for it. If you are going to write about those topics anyways, why not take a few minutes to tell your readers how a brands product can fill that need or help make life easier? It’s a win-win. Once I even got invited to go to Chicago with the Beef Council and work in a test kitchen making my own recipe. Seriously, I was like a kid on Christmas morning. I was getting an opportunity to do something I loved and then share a really tasty recipe to boot. 3. Use links to get paid. I am always telling readers about things I love or about a great deal. One of the easiest ways to make a little extra money is to use affiliate links to get paid when people click to find out more. I use tons of different affiliate companies to link out to my favorite products, but I probably use Amazon the most! Gotta love Prime Shipping. 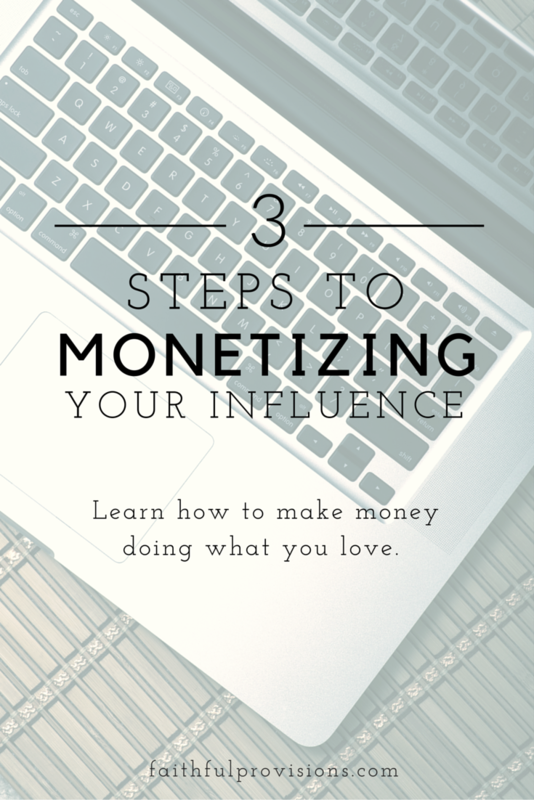 One of my favorite companies to work with for paid posts is TapInfluence. They have a great pool of brands that I can work with that fit my writing interests. Disclaimer: This is a sponsored conversation written by me on behalf of TapInfluence, the leader in connecting influencers with opportunties to collaborate with brands.